Will our barrier be a watertight purchase? Comments Off on Will our barrier be a watertight purchase? Like many of you, we can’t believe that we’re already into the second month of the year. January for all of us at HydroGuard has been an extremely busy month but we’re delighted with what we’ve managed to achieve. The highlight for all of us has to be the latest set of tests that we ran. We were absolutely thrilled with how the barrier performed and it illustrated that we are definitely on the right track with some of the decisions we’ve made. When we embarked on this journey, we knew that there was probably a good reason why there was no existing solution incorporated the sliding mechanism that has been designed. From our perspective, this has increased the development time, but we want to honour our commitment of providing homeowners with a solution that will fit door frames of varying width. We have absolute belief in what we are doing and we know that the HydroGuard barrier has the ability to play a small but critical role in a natural occurrence that are becoming more frequent and devastating in nature. 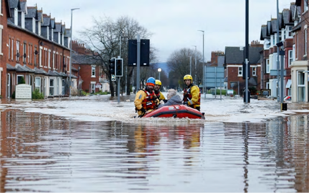 The Winter Floods of 2015/2016 in the UK was one of the most extreme and severe hydrological events of the last century and ranks alongside the floods of 1947 as one of the two largest flood events of the last 100 years at least. Storm Desmond alone caused an estimated insurance bill of more than £1.3 billion when it struck on the 5th and 6th December 2015. 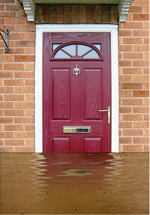 Our mission at HydroGuard is to buy homeowners sufficient time to prepare for flooding. Many who have experienced flooding have faced life-changing financial losses and incredible stress. Speaking with flood victims, the words that come out are despair, fear and anxiety – fear of flooding again. Floods don’t just take your home, the place where you should feel safe, they often take your future as well. So the question you are probably asking is when will HydroGuard be available to purchase? The good news is that it will absolutely be available in 2017 and we will be providing realistic dates once we have completed the final tests.